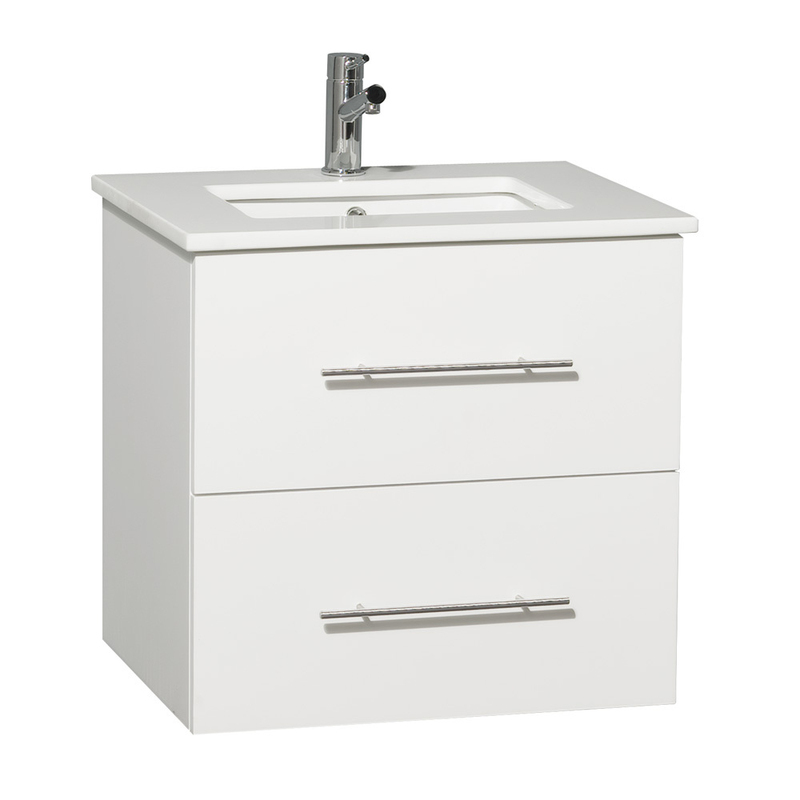 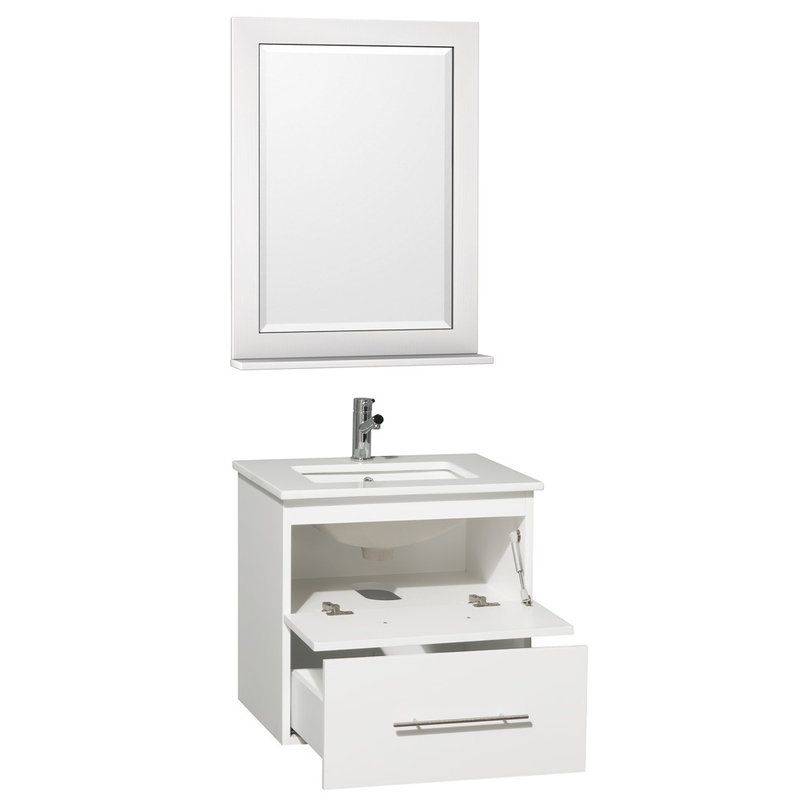 With its White finish, solid oak construction, and petite size, the 24" Zentra Single Vanity does wonders to any small bathroom's functionality and style. 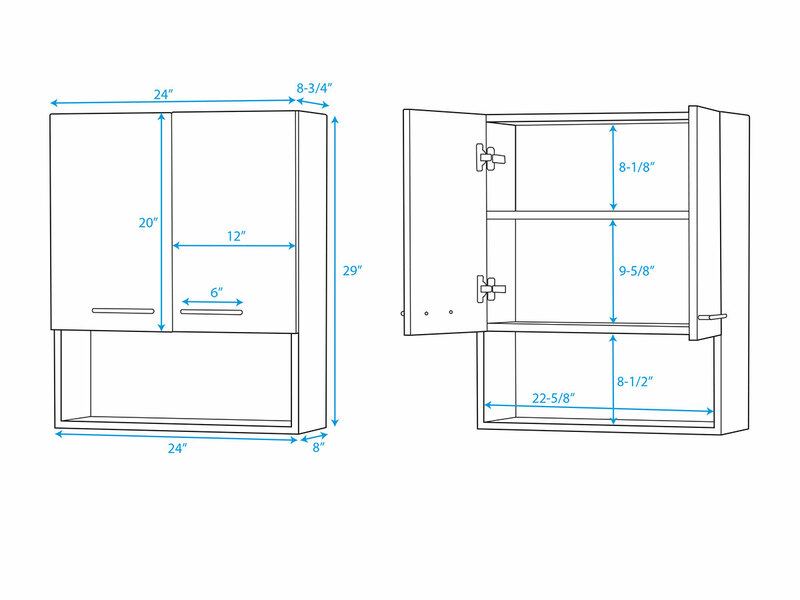 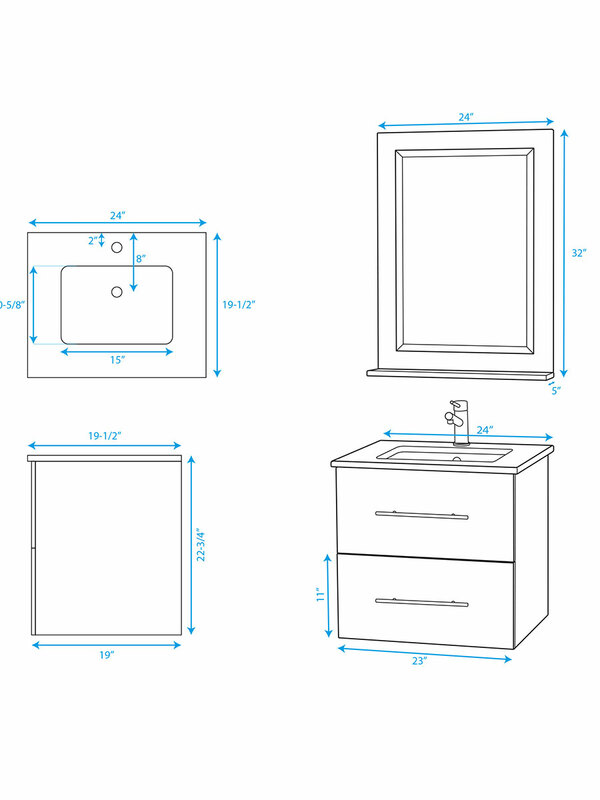 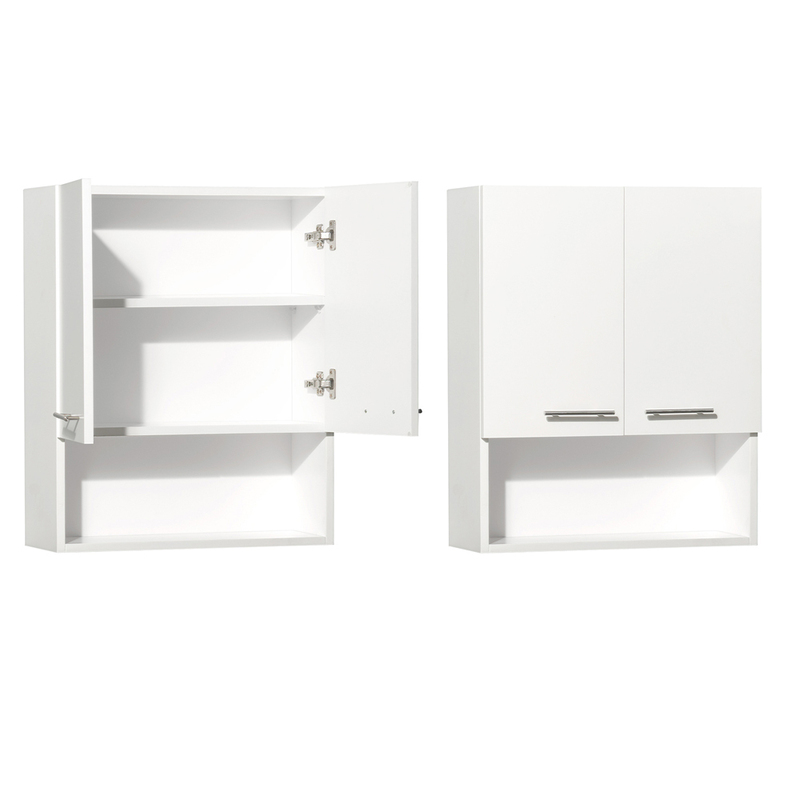 Its cabinet offers a drop-down cabinet and single functional drawer for storage, while the top is available in four great options, allowing you to customize its look to fit your bathroom's look. 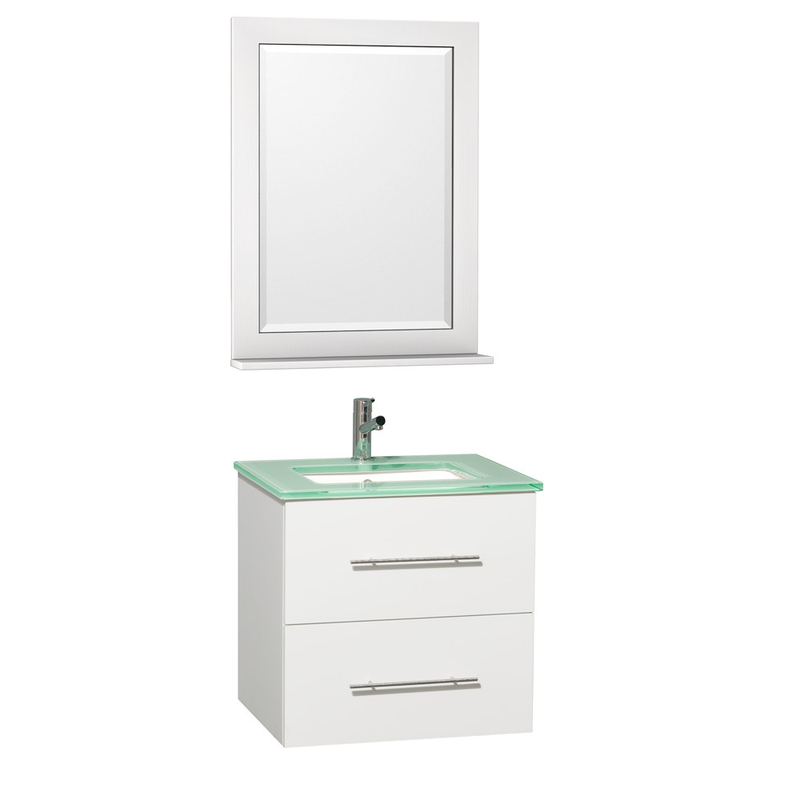 A matching mirror is included with the Zentra.